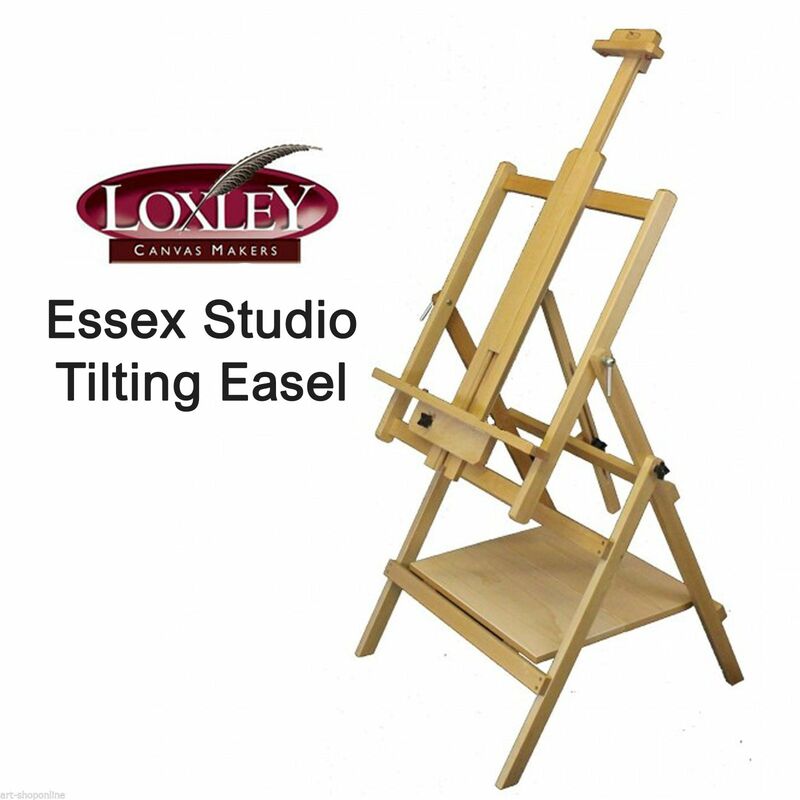 The Loxley Essex Tilting Easel is a very versitile studio easel which can be used for all types of media. 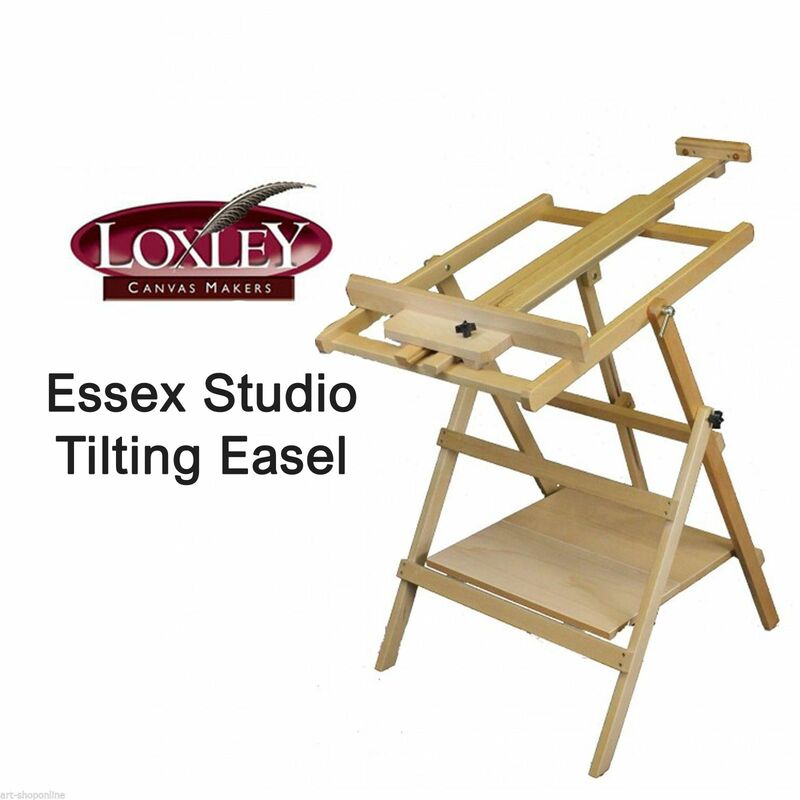 The Loxley Essex Tilting Easel is a very versitile easel which can be used for all types of media, as the 'working' area can be tilted to any angle. Made from Elm wood, the easel has a handy platform tray and also has adjustable working height as the horizontal support can be sent to various heights. Folds virtually flat for easy storage. Maximum canvas height 1160mm. Easel height 1710mm.